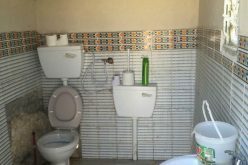 Photo 5: A room owned by Mr. Younis Jaber Khalil. 26 Palestinians, most of whom are children, are threatened with displacement in the aftermath of the Stop Work orders. 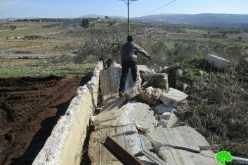 It’s been documented that Israeli authorities are targeting these two communities with a series of such orders in an active attempt to expel its residents out of their lands; so far 48 such orders were issued of which 26 targeted Al Ramadien Al Janoobi while the remaining 22 targeted Al Ramadien Al Shamali. As it stands so far, most of structures in Al Aramadien Al Shamali have received Stop Work orders as a prelude to its demolition. At the beginning of the month of June 2008, the so-called Israeli Civil Administration took yet an additional step to displace the Arab Al Ramadien Al Jannobi; it offered some alternative areas for the Arabs while providing them with basic services like electricity and water in the proposed new areas which fall outside the Wall. However, the residents strongly rejected this alternative unequivocally. In return, occupation authorities tightened the grip on the population as it made the entry and exit through Gate No. 109 much more difficult in addition to issuing this new wave of Stop Work and demolition orders. The owners of the threatened establishments expressed their anger and resentment at the Israeli occupation racist policies as they have indicated that the new orders are an integral part in the policies of ethnic cleansing and land grabbing practiced by these authorities. The fact that such orders were issued concurrently with the establishment of the Israeli Racist Wall indicates the deliberate intention of occupation authorities to control all of the lands located beyond the Wall with the aim of annexing it to the present colonies at a later time. 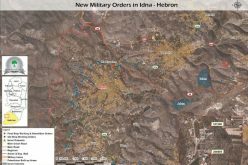 Alternatively, the occupation authorities can declare such lands as Closed Military Areas as a prelude to establish a military camp there. 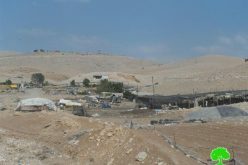 A precedent was done in this regard when the Israeli Army established a military camp near the colony of Tzufim after the establishment of the Wall in its vicinity. 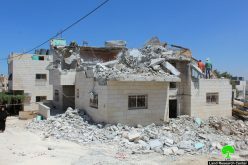 The Palestinian owners of the threatened structures are planning to file an appeal with the Israeli High Court in an effort to stop the demolitions. 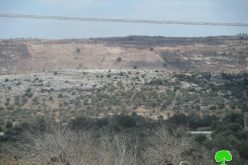 The community of Arab Al Ramadien Al Shamali is located northeast the city of Qalqilia behind the Israeli Racist Wall and about 700 meters away from the colony of Tzufim. An Israeli military camp is also located at a short distance from the community. The population of the community is about 90 Palestinians. 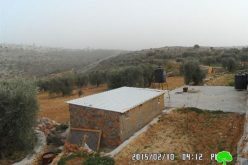 As for the community of Arab Al Ramadien Al Janoobi, it is located southeast of the city of Qalqilia in the vicinity of the colony of Alfe Minshe. Its population is about 200. 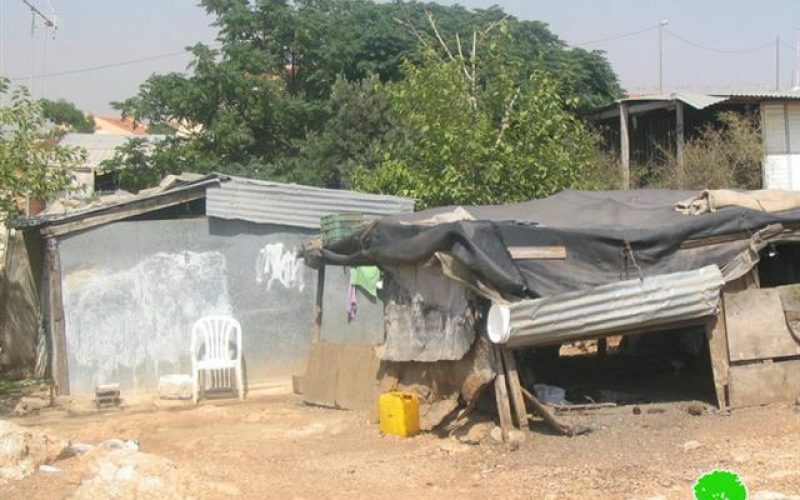 The targeted structures are built of tin and wood and are considered the only shelter for a large number of families in the said two communities.